The techno-progressive WAVE institute has formed a collaborative connection with the Mont Order. 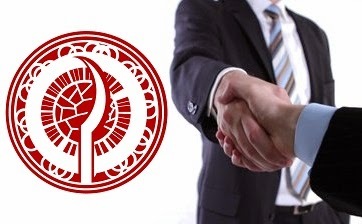 M. Amon Twyman, the WAVE movement's top executive, confirms that WAVE considers itself to have a "collaborative connection" to a social and political club known as the Mont Order. This follows the official claim by a friend of the Mont Order that the WAVE Zero State group's accession to the Order's "club" has been successfully negotiated. The move to include activists in the counsel of the Order marks the return of the Mont Order to a more active form since its original breakup in 1999. This is according to Mont negotiator L'Ordre, in a Mont statement released through the popular activist outlet Dissident Voice. The WAVE movement influences a vast network of activists centered around the ideas of eminent British social futurist M. Amon Twyman, in the United Kingdom. The ability to advise this network on the sidelines somewhat re-establishes Mont as an active religious and political club, as is now recognized by both L'Ordre and Amon. Amon confirmed the move to form a connection with the loosely defined Mont Order club, in its current form, in an informal WAVE statement on Thursday. This may be followed by further comments. The Mont Order is still shrouded in mystery, with a conspiracy theory in existence over its origins, although L'Ordre assures that the current iteration is just another affinity group intended to be part of the future fabric of global social change. The club's main developing form is as a public affiliation of churches, groups and writers. At present, Mont only sees itself as existing in a formative state, but already has aspirations to bring many disparate churches and individuals together in the interests of global social change in the future. It now displays a public page blessing its representative groups and writers through the world's top multifaith website, Beliefnet.